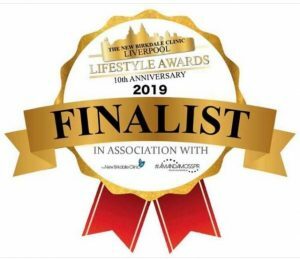 We are so delighted to find out we are finalists at the Liverpool Lifestyle Awards 2019 in the category of ‘Best New Business’. We cannot thank everyone who nominated us enough, we are overwhelmed and very proud, its an absolute honour and we really appreciate all of our clients support…….What a way to end 2018! The winner will be announced at a black tie event held on Sat 2nd March 2019 at The Liner Hotel, Liverpool.